Mr Bear Family ‘Woodland’ Beard Balm left my beard looking so damn good, it’s different to other balms that I have tested in that the balm has a sticky feeling, but once worked in your hands and applied, it doesn’t leave your beard feeling sticky! In fact ‘Woodland’ beard balm did an amazing job of keeping my beard as it was when I combed it and yet it didn’t feel like it had been set in place. I rarely go out because of my health but I did have an appointment yesterday and so I wanted my beard to look its best. My appointment was 1.30 and my beard was still looking good from using ‘Woodland’ Balm in the morning. Job done! Mr Bear Family ‘Woodland’ Beard Balm has a fresh woody scent that I really like, it’s not too over and smells good on your beard. The balm contains Shea Butter, Lanolin, Apricot Kernel Oil, Bees Wax, Jojoba Oil, Argan Oil, Coconut oil, Rosehip seed oil, Essential oils, Sunflower Oil, Natural Vitamin E.
This will not only leave your beard looking and smelling amazing, it will also help to prevent the skin under the beard becoming dry, itchy or sore and in the coming winter months it will help protect your beard from the harsh conditions! 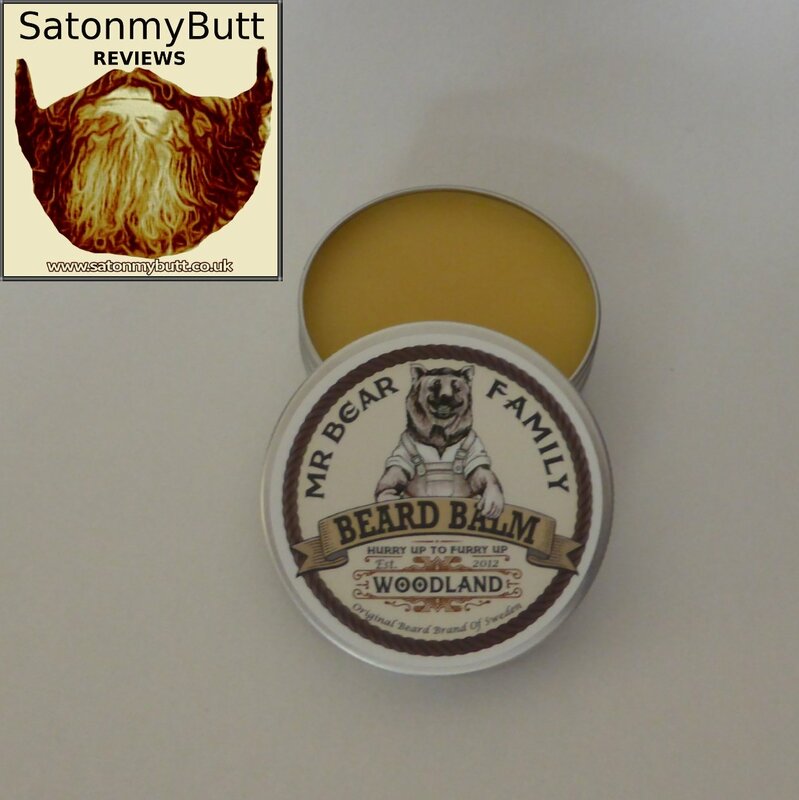 Mr Bear Family ‘Woodland’ Beard Balm can be purchased from the Mr Bear Family website and the 60ml tin will cost 199.00kr which equates to about £23.93 at today’s exchange rate. The balm is also available in Citrus and Wilderness scents. ← What should you use to groom your beard?